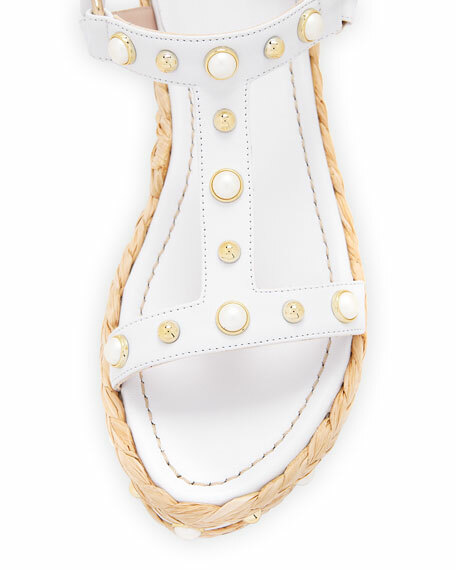 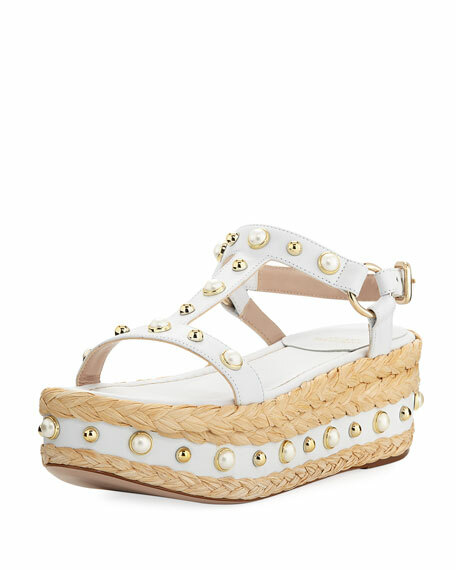 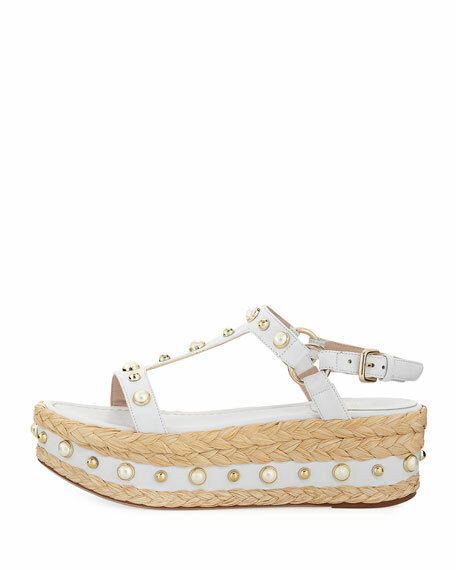 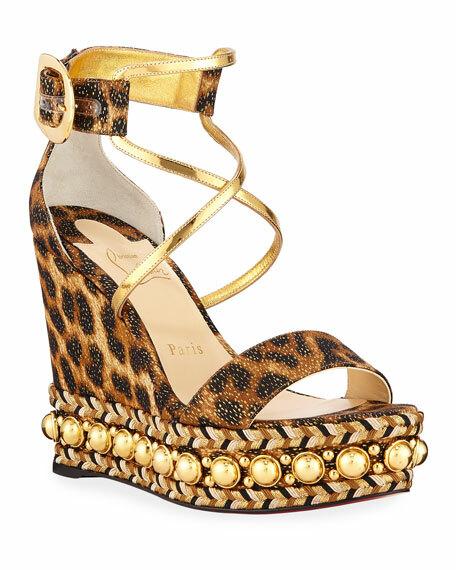 Stuart Weitzman vachetta leather sandal with pearly studs. 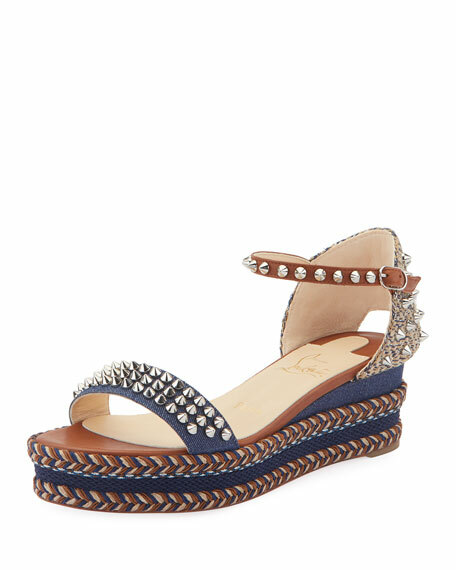 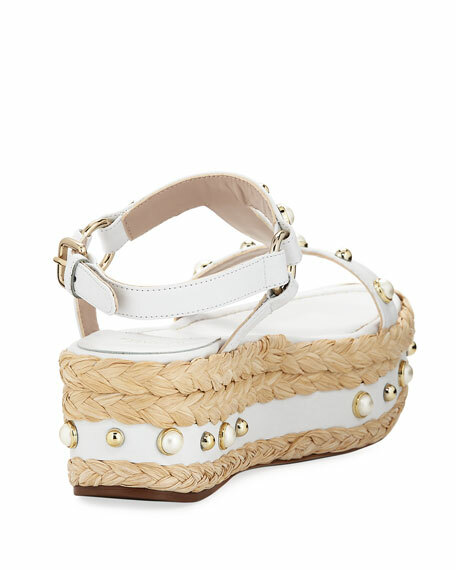 2.5" woven and leather wedge heel; 2" platform; 0.5" equiv. 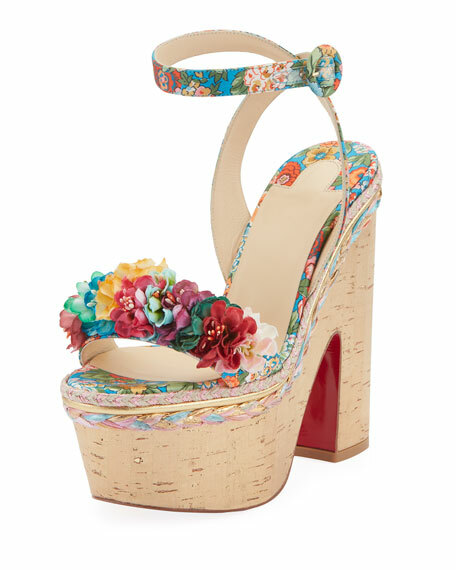 For in-store inquiries, use sku #2357253.